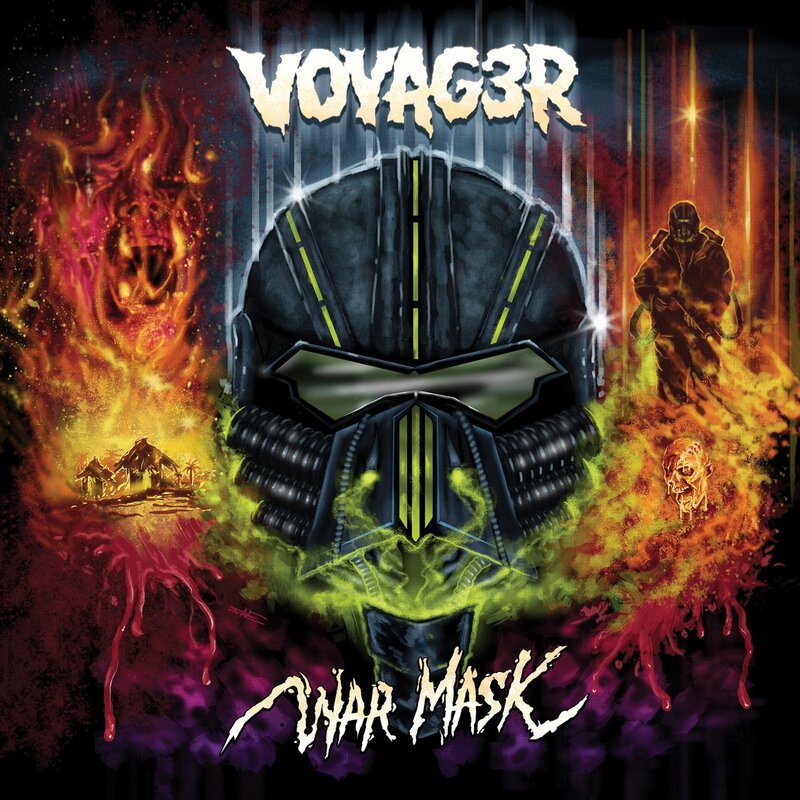 New Voyag3r T-Shirt Available Now! 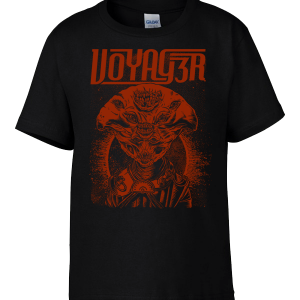 Our new shirt, “Mysterious Traveler”, is now on sale in the Voyag3r store! 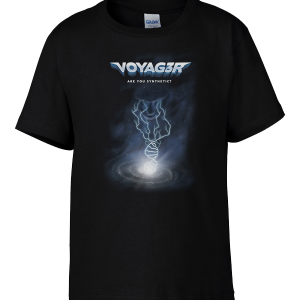 This soft, comfortable t-shirt has a 3-color screen print of art done by Mister Black from the U.K. 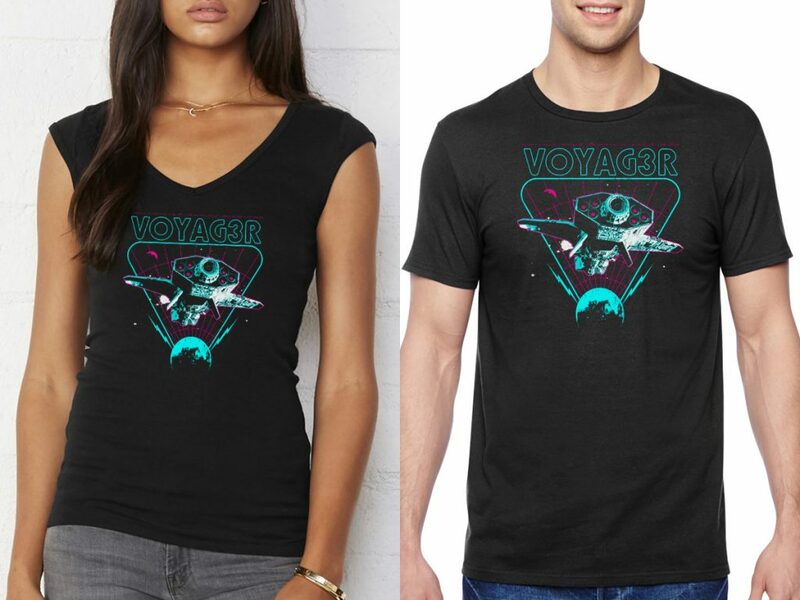 This new shirt comes in 2 styles, standard mens Fruit of the Loom RingSpun tee as well as a girl style v-neck, cap sleeve, mini-rib Bella Canvas tee.